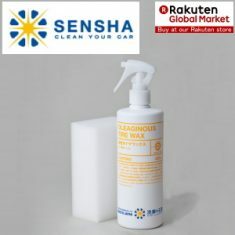 OLEAGINOUS TIRE WAX - SENSHA CO., LTD.
Oleaginous Tire Wax is a professional use tire wax used by professional tire shops and dealers. Depending on purposes or preferences, there are three types of tire wax to select. 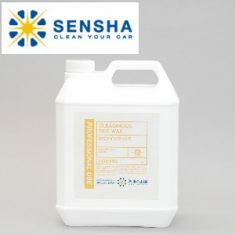 This product provide a second best grade in quality among our 3 series of tire wax, give a touch of the tire covers the faded appearance of old and browning tires, so they always look their best. 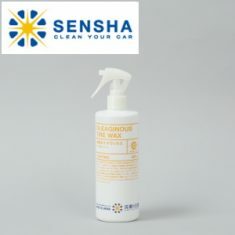 Oleaginous Tire Wax is an oil based tire wax it will not cause damage to tires, even more it give a protective solution to the tire. This product contains few percent of alcohol. 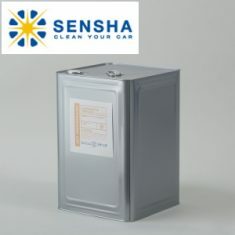 After an application, the alcohol ingredient volatilizes quickly so that the coating agent is hardly scattering. The effective ingredient provides long lasting water repellent. 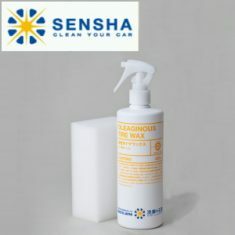 Oleaginous Tire Wax is a oil based tire wax it is not cause damage to tires, and give a beauty of a shine to your tire. It's oil base so that it will stick stronger and giving longer durability. Easy to use just spray and rub all around the visible sight area to give touch of the glossy black look of the tire. Also giving a protection to your tire from the heat as well as acid rain also giving a longer life time of the tire. 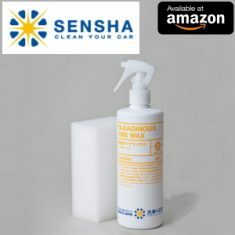 provides a protective barrier from dirt, requiring little maintenance to clean and restore that dramatic lustrous shine.